From the game-changing True Tilt Profile and team character assessments to tools and training for coaches, you can explore everything Tilt 365 has to offer in our store. This registration sets you up as a Team Leader, so you can purchase assessments for your team. Please watch this important tutorial that provides step by step intructions on how to create and set up a new Team. 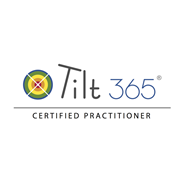 Description: The Tilt Foundations class provides a quick introduction to Tilt 365, the science and history of the tools, an overview of the Tilt 365 model and guidelines for when to use each of our tools. True Tilt Profile Description: The True Tilt Profile is a personality assessment that measures natural trait patterns and typical stress reactions. It provides insights into unconscious inner motivations that lie just beneath surface preference patterns. Many of our practitioners have found that the True Tilt Profile is a great way to quickly engage their clients in self-awareness insights and rich discussions about behavior. It is quick to complete (5 minutes), relatively inexpensive ($49) and provides a comprehensive report that is a great conversation starter. The True Tilt Profile also provides a thought-provoking introduction to the Tilt model, which is based on a complete set of character strengths for whole-person development. In this class, you will learn about the four primary True Tilt patterns and how to debrief the reports. 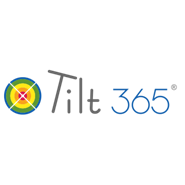 While the True Tilt Profile shows us our natural strengths and inclinations, the Tilt 365 Positive Influence Predictor shows us how we're showing up now, in different contexts. It is the 360 feedback assessment tool that can be used 365 days a year! Discover the web app that works the way we work today ~ in real-time, on our devices. Working today in a VUCA (volatile, unpredictable, complex, ambiguous) world requires a whole new set of agilities that go way beyond competencies. The differentiator today is one's agility to shift our mindset to context quickly... specifically, into any of the Four Tilting Patterns at first. Then once mastered, we begin to develop nuanced shifts into any of the Twelve Tilt Leader Agilities built into the Tilt Suite of Tools. 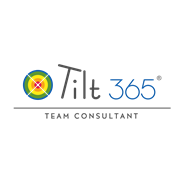 Learn how to increase agility in teams and organizations using the Tilt Team Climate Profile and the Tilt 365 Team Agility Predictor assessments for diagnosis. Many teams and organizations waste time on politics, ego-sensitivites and drama instead of teaching and reinforcing a more disciplined and selfless mindset required for the highly valued experience of "flow". Organizations that have low engagement in work are actually experiencing a plethora of ego-politics that may immulate "work" but do not actually produce work output in efficient ways. You know this is true when projects take months or years to complete, too many people and politics are involved, there is excessive focus on using "correct" processes and people are reluctant to engage in real talk because of previous reactions by people of status. While organizations like this may enjoy feeling important, in today's climate, it will not be sustainable or scalable in today's rapidly changing climate where faster companies with better ideas can leapfrog those bogged down by ego-politics. Faster teams that utilize technology to go to market can manifest innovative solutions much faster and generate exponentially higher velocity in getting products to market. The combination of the two Tilt team diagnostics helps teams focus on productivity, real talk, rapid feedback and agility by strengthening team members from the inside-out, so they can interact in a more straightforward way that reduces drama and releases energy for exponential productivity. 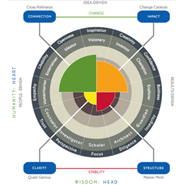 The two team assessments serve as diagnostic metrics and a scientifically validated framework for character strengths which increase internal strength in team members. The intrinsic ego-identity strength that results increases the experience of "flow" in each member of a team. How? It helps them understand what drives ego-fragility and counterproductive ego-fear that reduces "flow". It helps the team identify specific overused traits and stress reactions that steal energy from from work engagement so they can reduce specific culprits for a more agile team climate. The Tilt Team Metrics also saves time and money for teams and organizations because it uses the same model and conversational language as the individual development tools, but expands them to a systemic view. Most importantly, teams learn to purposefully shift together based on context for optimal performance. You’ll also gain access to a handful of Tilt-designed exercises for face-to-face and remote facilitation for team debriefs. Note: If you want to deliver Team workshops, we suggest you get team facilitation experts certified in our Train-the-Trainer offering, which enables you to deliver the three team workshops for building agility in teams and culture.